SyrupCast Podcast Ep. 176: Is Samsung’s Galaxy Note 9 a worthy upgrade? This week on the SyrupCast, MobileSyrup features editor Igor Bonifacic, managing editor Patrick O’Rourke, staff writer Jon Lamont and telecom reporter Sameer Chhabra, catch up on the last three week’s worth of mobile news. The Galaxy Note 9 has the team talking smart phone pricing expectations and what Samsung’s latest smartphone means for the future of iterative smartphone updates. The Note 9, starting at an expensive $1299 CAD, has the team questioning how expensive smartphone prices will get in the coming years. An added feature to this iteration of the Note series is the S Pen’s Bluetooth-enabled photo snapping functionality. You can now use the Note 9’s S Pen as a shutter button, which the team argues is not enough of a draw to spend $1299 on a phone. 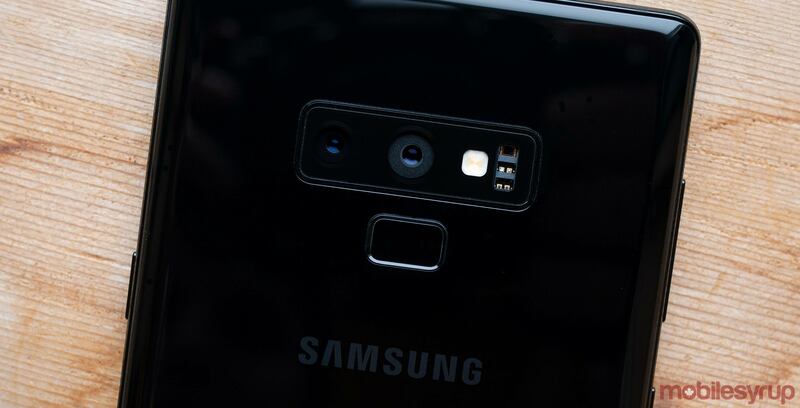 That said, the Note 9 also features significant hardware updates, including a Snapdragon 845 Processor and 8GB of RAM in the new 512GB version of the smartphone. Tune in to hear the SyrupCast team’s thoughts. Do you have questions, comments, thoughts, or anything you would like addressed on the podcast? Send us an email to podcast@mobilesyrup.com. If you’re feeling extra adventurous, send us a voice recording of your question or comment and you may end up featured in a future episode! Igor shouts out the book Creativity Inc. Patrick brings back the Switch Minute and gives his shoutout to Octopath Traveler. Sameer’s shoutout this week is to Voice Inc. And finally, Jon’s shoutout is sent out to Discord.